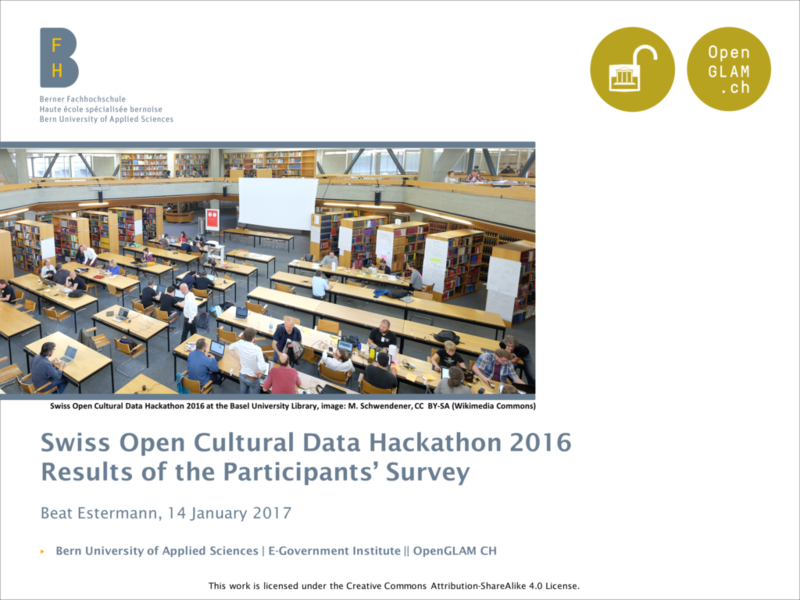 The results of our Participants’ Survey for the 2016 edition have been published. As in the previous year, the hackathon has been a large success. According to the participants, it has been most effective in terms of networking, spurring and exchanging ideas, promoting access to cultural data, finding out how data can be used in new contexts, as well as in exchanging skills and know how. • presenting the outcome of hackathon projects to specialized audiences or to a broader public. The organizing team will progressively look into ways of improving those aspects and is happy if you join the effort!